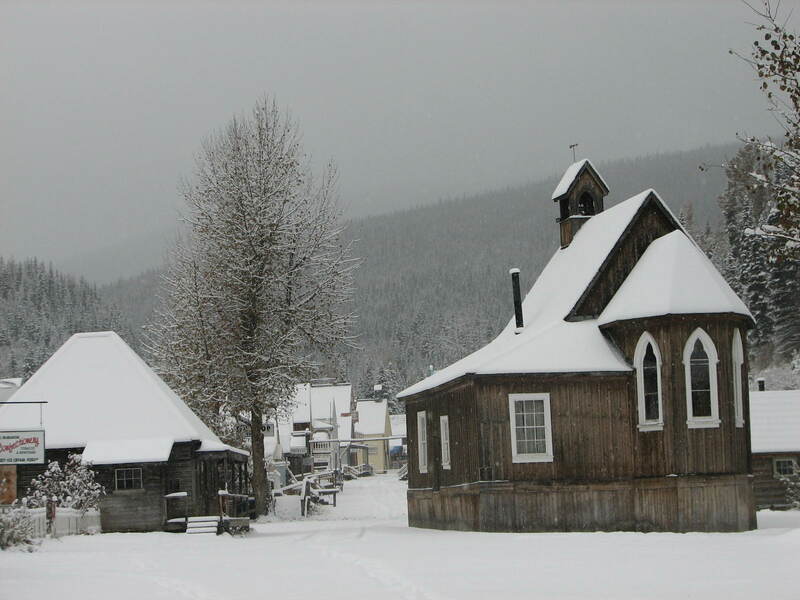 Home » Barkerville » Barkerville Welcomes Winter! Good Morning! Here is a quick shot of what we arrived to this morning in BC’s Gold Rush Town – 2 degrees Celsius, 10 centimeters of snow, and still falling! Looks like this winter may be as hearty as the last: we had a total of 29 feet of accumulated snowfall, requiring 465 dump truck loads of removal in order to open the park gates on schedule for May 11th. Wow! We do like extremes up here….